Hi there, I'm Lee. I'm 37 years old and live in Lowestoft, which is on the east coast of the UK. In fact our town is the most eastly point in the UK. Little useless fact for you! If you'd rather watch a quick video about me then please click here. I've always been very entrepreneurial, even as a child. I was always scheming and trying to think of ways to earn money. Normally this meant working 3-4 jobs, from paper-rounds to butcher boy. I guess I like money, or more to the point, what the money could buy. At the time this was freedom and I don't think much has changed. From school I decided that I wanted to become a Royal Marines Commando. What started as a keen interest quickly resolved into a full-blown obsession! It was all I could think about and I had completely set my sights on achieving it. Nothing would get in my way. In July 1999 I started my recruit training down in Lympstone, Devon and by June the following year I had earned my green beret. It was one of the proudest days of my life so far. All the blood, sweat and tears had paid off – I finally had what I'd dreamed of (literally) for years. Six years later I was a civilian again. I'd done my time and enough was enough. My entrepreneurial passions were just too strong and being in a regimented routine didn't help. Towards the end of my time in the Marines I actually got involved with several MLM (Multi Level Marketing) companies. When I first ‘discovered' MLM I was completely bowled over. It was magnificent – what a business model!! I quickly got involved with company A, only to find that being in the forces just didn't work with being successful in that kind of thing. About a year later I found another opportunity which I thought would change my life. Again, the Marines didn't help but man did I work hard to achieve success. I ended up having a reasonable sized team and a small monthly income. The problem was it was all being ploughed straight back into the business. After I left the forces I carried this business on for about 2 years but in the end I just had to accept that it wasn't going to work like I had hoped. Looking back I know why it was so damn hard. The upline were teaching me to leaflet houses, card cars, put ads in shop windows and talk to my ‘warm list'. I hated all of that stuff but still done it, but it just isn't scalable. I'm only one man for crying out loud!! When I left the Marines I decided, whilst running my MLM business, to retrain as a Mortgage Advisor. At the time I was buying a new house and it seemed like a good idea at the time. I passed all the exams and started looking for work. Long story short, I ended up securing employment as a Financial Advisor. In doing so I had to pass more exams to become qualified in this field. At this point I was working from home, which seemed great at first. But actually it was terrible. Basically we were expected to come up with the goods (i.e. hit target) but without any support from anyone. Needless to say this was very difficult. For anyone that's been in this situation you'll know just what I mean. Fast-forward a couple of years and I had had enough of slogging it around the streets, cold calling on strangers. So I got a job in one of the major high street banks, again as a Financial Advisor. At this time I packed in the MLM business due to time constraints and also because I'd pretty much had enough as explained above. Now it seemed like things were looking up. I was on a good salary and was driving a brand new BMW 3 Series. It cost me a good chunk of money every month which I couldn't really afford, but hell I was still driving it! Within 12 months I was completely burned out. I'm sure many of you can relate to this. So, whilst working full-time in a job which frankly I hated, I then started to burn the midnight oil to find a way out. I decided to set up a property letting agency. I had everything ready to rock, until one day I decided to completely change direction and went about setting up an online business in the incentivized affiliate marketing sector. So now it's 2007 and I'm teaching myself web development after work. For months I toiled over forums and tutorials until finally I knew enough to build my idea into an actual product. You might be thinking why didn't I just pay somebody else to build it – good question! Simple answer – I couldn't afford it. So anyway, this business launched in August 2007 and picked up very quickly. Within 3 months I had broken 5-figures per month turnover and I was over the moon. By June 2008 I left the bank and worked full-time on this business. Everything was going great. To date this business has earned multiple 6-figures in revenue and I'm very proud of what it's achieved. That pretty much brings us up to date as of writing this. The main problem has been time freedom. This may sound odd considering that I work from home and can pick and choose my work hours. But unfortunately Tami has been working full time for somebody else which has meant that we cant just have the random holidays or breaks that being financially independent should bring you. To this end I have been looking for something that we could run together from home which would provide us with an amazing income. Opportunities like this are hard to come by but I do believe I have found it! To this end, Tami has now left her full time job and is working together with me from home. If you're running your own business but it's not producing the income you wanted or hoped for, or you are working in a job but are dissatisfied with your prospects moving forward, then get in touch. We almost certainly will be able to help you, or at least we will point you in the right direction. Well, the plan as explained on our main About Us page is to become masters at online marketing. Currently we are members of the Six Figure Mentors and are so very, very excited with what this delivers to us every day. These are very exciting times! YOU should definitely get involved. We are also personal students of Stuart Ross and founding Black members of the DEA. 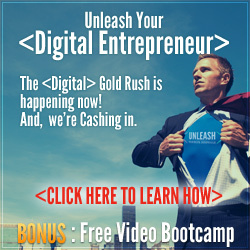 By filling in this quick form you will get FREE access to the next webinar hosted by Stuart Ross himself; the founder of The Six Figure Mentors! Well, that's my story. If you have read this far – wow – well done and thank you!